The beautiful Shalin Liu Performance Center in nearby Rockport sponsors several FREE community events each year worth checking out. Click here for their calendar page. Featuring music composed by Chris Florio from poetry written by IHS fine arts students Lydia Brendel and Charlize Vermaak. Enjoy flickering bonfires on the Ipswich River as well as art installations, live music, food and drink. Events wind through Ipswich along the river between EBSCO and Town Hall. Fresh local beer will be pouring off the Ipswich tapmobile in the EBSCO parking lot 5pm - 9pm! Food available from CopperDome Crust and American BBQ. 2-4 Crane Estate Art Show & Sale Come to the 15th annual Crane Estate Art Show and Sale: Earth, Wind, Fire, & Water to find nature's elements in paint, ink, photo, and sculpture. Our kickoff Soirée on November 2 includes beautiful artwork on 2 floors, living statuary representing each element, catered hors d'oeuvres, an open bar, music, and, of course, first dibs on the artwork. The Crane Estate Art Show and Sale continues on Saturday and Sunday, November 3-4, 10 am - 4 pm, for free public viewing, including student artwork at the Casino, and sculpture on the Grand Allée. Art sale proceeds benefit the artists and The Trustees. Thank you to our sponsors: The Outsidah, The Institution for Savings, First Ipswich Bank, and Port Lighting Systems. Let us know if you have an upcoming event by filling out our form. We will do our best to get it posted to our calendar. 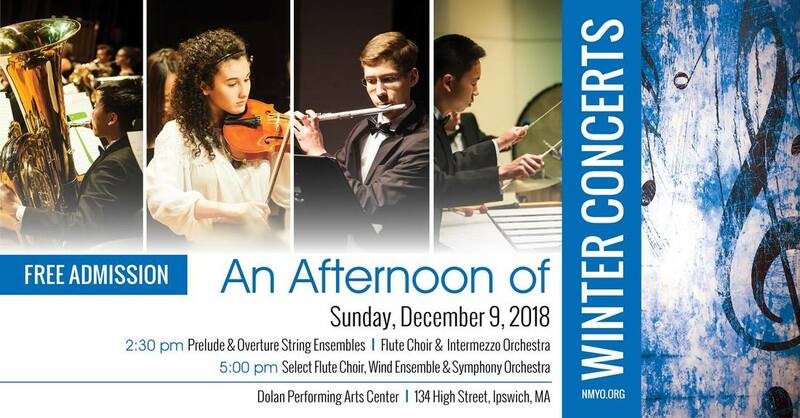 Located at 134 High Street, Ipswich, MA 01938, the Ipswich Middle & High School complex houses the Dolan Performing Arts Center (PAC). High Street is both Route 1A and Route 133 and is easily accessible from either Interstate Route 95, Route 128 or Route 1.